Surge is the membership magazine for Academy members. Surge offers the latest news and information on all areas of cosmetic surgery, including innovative techniques and technology, invaluable practice management resources and fascinating, in-depth profiles. 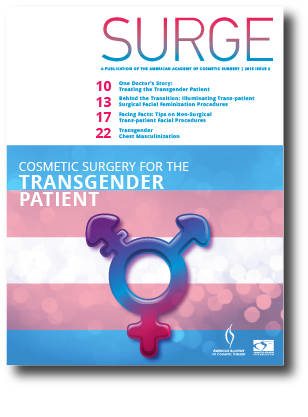 Surge 2015 Issue #2, "Cosmetic Surgery for the Transgender Patient"
Surge article submissions may be sent to AACS Director of Marketing and Communications, Jean O'Brien, at jobrien@thesentergroup.com. 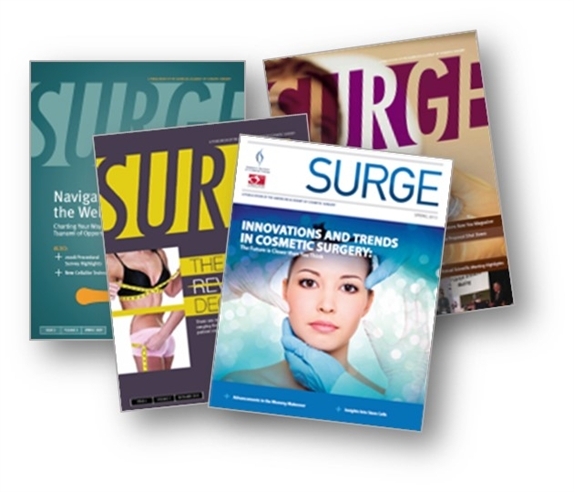 Members may access current and past editions of Surge by logging in to the website. View issues of Surge. View the 2015 advertising rate card including contact information for advertising sales.